Thank you first of all for taking the time to look at our page. This fundraiser is to assist my family with the funeral expenses of the untimely and cruel death of Lorrice and her daughter, Shayla. Lorrice was my sister. Shayla was my niece. Both Lorrice and Shayla were brutally murdered by the man she called "husband", and by the man, Shayla called "dad". Lorrice was looking forward to life and what 2019 had in store for her. Unfortunately, Lorrice died on March 30, 2019, her 48th birthday! She was hardworking, she was devoted to her children. She lived a quiet life! 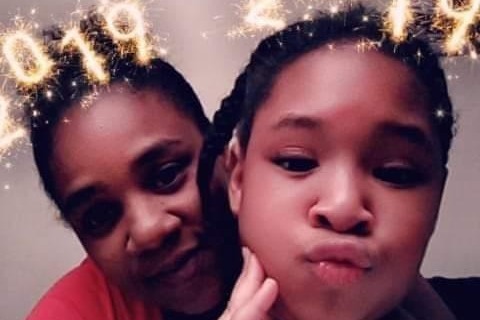 Shayla died with her mother, on March 30, 2019, after a fun-filled day with other family members. Shayla was only 10 years old...she was brilliant, she loved to read and she was a top performer in school. Words aren't adequate to truly express our emotions as we grieve but we'd like to thank you in advance for any monetary aide that you can provide. We, her family, were not able to save them from the vicious hands of evil, but with your help, we can give them a dignified funeral. Funeral arrangements are being made and more information will be posted. Hello friends, family, and well-wishers. Thanks again for all the love and support that you have shown, and may continue to show. I pray that the windows of heaven will open and pour down showers of blessings on you! "Lorrice And Shayla Chambers Funeral Fund." Please share this with other friends as an alternative option to contribute. We love you. Thank You, Thank You, Thank You!